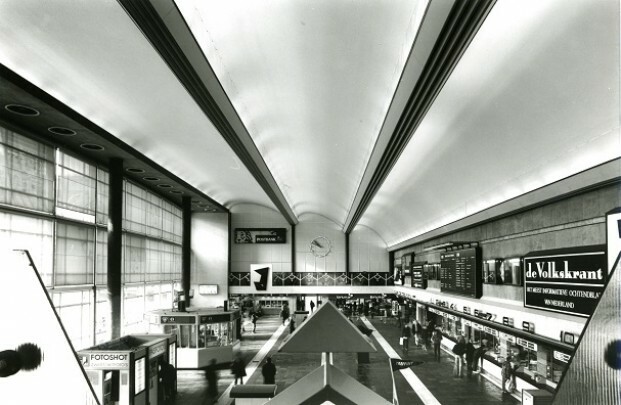 Two curved office wings, each of two storeys instead of the suggested four, stand either side of the main station hall and terminate in two decorative gateways. Platforms are reached from a pedestrian tunnel and are each capped with two vaulted concrete shells. In the main hall, too, are vaulted shells lit indirectly. The building was demolished in 2008 to make place for a new station.